In 2012 Music by the Sea (MBTS) initiated its first in a series of residencies for artists in Bamfield. This programme is a part of our growing vision for MBTS at Bamfield. Eventually we plan for there to be multiple simultaneous residencies, creating a community of artists that will be able to enjoy the benefits of solitude and a focused period of time for creation and practice, but to also choose the benefits of collaborative experiences with other resident artists. This inaugural residency is a Winter Residency (January 15 – February 15th), and we plan to add a Fall Residency as well. Artists take advantage of creative residencies for many reasons—to practice, compose, rehearse, network, or a combination of all these. The main reason though, relates to my favourite dichotomy—to explore structure and freedom. Residencies offer artists a clean slate—an opportunity to discover (or rediscover) what variables optimize their creative capacities and overall well being. Artists can free themselves of the habits that define their circumstances at home. They can start over. Rebuild. Redefine. Artists are offered a brand new equilibrium between structure and freedom. Ideally, they also have the power to manipulate these variables at will. For example, suppose circumstances at home restrict an artist to practicing between 11am and 4pm. An ideal residence could support practicing at any and all hours. Through this process of discovery, the artist may realize that her best work is done first thing in the morning, after drinking some pulp-free orange juice, while hearing birds sing and experiencing the smell of low tide. This seems trivial, but these are the factors that could be crucial to an artist’s work and well being. It’s not just the orange juice that she discovers, it’s the ritual of drinking the orange juice at a certain time of day, before carrying out a certain activity. Further, when she returns home, hopefully she has learned that it isn’t necessarily orange juice that she needs, but some kind of ritual to start her day and prepare her creative faculties. I say “well being” because work and art are only part of the picture. Residencies are also opportunities to explore lifestyle, not just the creative process. Working and living are intimately linked. An ideal residence, then, can support a diverse range of lifestyles and give artists the freedom to explore them. For example, we often hear people complain about being connected to the Internet. Our lives are structured such that email, social networking and StumbleUpon result in many wasted hours that could be more beneficially dedicated to our work. During an ideal residency, artists have the option to disconnect, or at least explore their relationship with the Internet. Being totally disconnected may cause anxiety. However, restricting herself to only checking email in the morning may be a perfect ritual to starting her day and doing good work. The point is that during a residency, the artist has the freedom to figure this out. The same can be said for health, nutrition, social activities, hobbies and other things that contribute to a lifestyle. I’ve made reference to an “ideal residency,” where artists have the ultimate freedom to explore and manipulate their circumstances. Of course, this doesn’t exist. There will always be variables outside an artist’s control. Further, an artist will face unique variables depending on local circumstances. A residency in Banff would be much different than a residency in Bamfield. Not necessarily better, just different. But this is part of the novelty of being an artist-in-residence. Each locale provides unique circumstances and challenges to the artist who wants to live and work there. This can be exciting for the artist, who may discover new structures once taken for granted. It can also be exciting for the local hosts, who get to witness creative solutions to structures they take for granted. If artists are searching for the “ideal residence,” residencies should be searching for the “ideal artist”—someone who can adapt and restructure to any circumstances. Of course, this doesn’t exist either. The point is that these endeavors are partnerships. Successful residencies require trust, understanding and patience between artists and their hosts. Returning Home Residencies aren’t permanent and can last anywhere from a few weeks to several months. Depending on the purpose of the residency, an artist may return home with a new composition, or new repertoire. These things are more tangible than some of the deeper benefits that can be gained. Hopefully, the artist can also return home with some principles to guide her life and work. This can be difficult because routines and rituals established in Bamfield, may not translate when living in Toronto. But as I mentioned earlier, it may not be the orange juice that’s important to her creative endeavors, but having some kind of morning ritual. Realizing this can mean the difference between a residency lasting two months, and a residency lasting a lifetime. Our first resident in this programme is Chris Donnelly. He represents a new generation of jazz pianists, composers and improvisers dedicated to creating programs that are engaging, entertaining and educating. 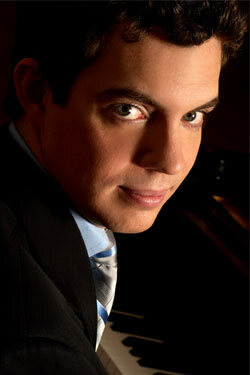 He is continually praised for his virtuosic performances, musicality, versatility and ability to captivate audiences. In 2008, the Canada Council for the Arts awarded Chris with a grant to compose new music based on the works of graphic artist M.C Escher. With its completion, this project, entitled ‘Metamorphosis,’ will act as a follow-up to his debut recording and will be released in 2010. Chris is grateful for the continuing support from the Canada Council. Chris is currently a professor at the University of Toronto and has previously worked as a faculty member at the Humber College Community Music School, Prairielands Jazz Camp and the National Music Camp of Canada. Music by the Sea presented Chris Donnelly in concert at the Rix Centre for Ocean Discoveries at 7 pm, Saturday February 4th as a part of his residency. Admission was by donation. Chris was the first artist to take advantage of MBTS’s winter residency programme and one of Canada’s rising jazz stars. We are delighted and proud to have given Bamfielders this opportunity to hear him.